Even tax-free IRA withdrawals must appear on your taxes. Whatever your reason for pulling out of your individual retirement account, the Internal Revenue Service is going to expect you to report it on your tax return and, in many cases, pay taxes on the withdrawal. How much you'll pay depends on the type of IRA and the type of distribution you're taking. The expected taxed for pulling out of your IRA will vary greatly depending on whether you're taking a qualified or nonqualified withdrawal. With a Roth IRA, qualified withdrawals occur when at least five years have passed from the first day of the first tax year you made a contribution and you are either 59 1/2 years old or suffering from a permanent disability. If you close your Roth IRA with a qualified distribution, you get it all out tax-free. If not, you get your contributions tax-free but the profits in the account are taxable. Comparatively speaking, the traditional IRA rules are much simpler: If you're 59 1/2 or older, your distribution is qualified. If you're younger, it's not qualified. Either way, the only way a portion of your distribution is tax-free is if you've made nondeductible contributions. 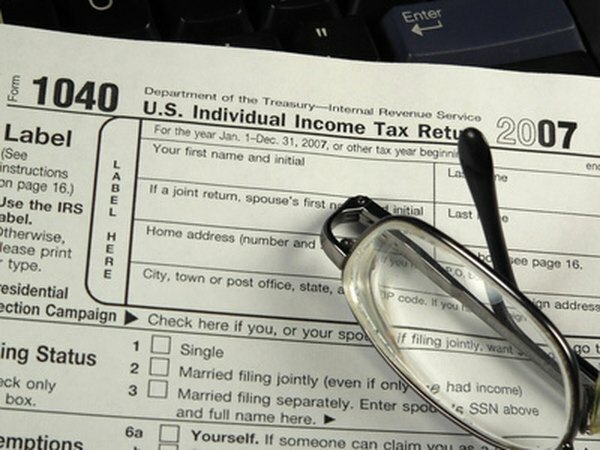 The taxable portion of IRA distributions count as ordinary income, not capital gains, when you file your tax return. So, how much you'll pay in taxes on your distribution depends on how much other income you have. If you have a lot, you'll fall in a high income tax bracket and pay more taxes on your IRA distribution. However, if you don't have much other income, you'll pay a lower tax rate. Although commonly referred to as a "penalty," the extra amount you have to pay on nonqualified IRA withdrawals is actually an additional tax. The 10 percent additional tax applies to the taxable portion of your nonqualified distribution. For example, if you empty your traditional IRA with a nonqualified withdrawal and the entire distribution is taxable, the 10 percent tax applies to the full distribution. On the other hand, if you close out your Roth IRA with a nonqualified withdrawal, the 10 percent tax won't apply to the contributions portion because those come out tax-free. Even if you're taking a nonqualified withdrawal, you might yet escape the 10 percent additional tax if you qualify for one of the exemptions. For example, if you've got medical bills that exceed the threshold for claiming the medical expenses deduction, you can avoid the extra tax on that part of the distribution. The same goes for higher-education expenses, medical premiums while unemployed and up to $10,000 to buy a first home. You can avoid the early withdrawal penalty entirely if you're permanently disabled or taking a qualified reservist distribution. How Am I Taxed on My Required Minimum Distribution if I Am Disabled?